As the language theories underlying the Audiolingual method and the Sitiuational Language Teaching method were questioned by prominent linguists like Chomsky (1957) during the 1960s, a new trend of language teaching paved its way into classrooms. Communicative Language Teaching (CLT), which is an approach to the teaching of second and foreign languages, emphasizes interaction as both the means and the ultimate goal of learning a language. It is also referred to as “Communicative Approach”. Historically, CLT has been seen as a response to the Audio-Lingual Method (ALM), and as an extension or development of the Notional-Functional Syllabus. Task-based language learning, a more recent refinement of CLT, has gained considerably in popularity. The theories underlying the audiolingual method and the situational language teaching were widely criticized during the 1960s. Noam Chomsky, for instance, rejected the structuralist view of language and demonstrated that there is a distinction between performance and competence. The goal of the linguist is to study the linguistic competence native speakers are endowed with. He also showed, rightly, that structuralism and behaviorism were unable to account for one fundamental aspect of language, namely the creativity and uniqueness of individual sentences. A child is able to produce an infinite number of sentences that s/he has never encountered. This makes the factors of imitation, repetition and habit formation weak arguments to account for any language learning theory. The paramount importance of communication aspects of language. The increasing interest in meaningful learning. The growing centrality of the learner in teaching processes. The subordinate importance of structural teaching of language. Besides applied linguists emphasized a teaching of language based on communicative proficiency rather than mastery of structures. instead of describing the core of language through traditional concepts of grammar and vocabulary, they (Van Ek & Alexander, 1975; Wilkins, 1976) attempted to show the systems of meaning underlying the communicative use of language. They described two kinds of meanings. Notional categories: concepts such as time, sequence; quantity, location, frequency. In other words, a “notion” is a particular context in which people communicate. A “function” is a specific purpose for a speaker in a given context. For example, the “notion,” of shopping requires numerous language “functions,” such as asking about prices or features of a product and bargaining. One language competence or numerous competences? For Chomsky the focus of linguistics was to describe the linguistic competence that enables speakers to produce grammatically correct sentences. Dell Hymes held, however, that such a view of linguistic theory was sterile and that it failed to picture all the aspects of language. He advocated the need of a theory that incorporate communication competence. It must be a definition of what a speaker needs to know in order to be communicatively competent in a speech community. Later Canale and Swaine (1980) described four dimensions of communicative competence. Grammatical competence: refers to what Chomsky calls linguistic competence. Discourse competence: refers to the interpretation of individual messsage elements in terms of their interconnectedness and how meaning is represented in relationship to the entire discourse or text. Communication: activities that involve real communication promote learning. Tasks: activities in which language is used to carry out meaningful tasks supports the learning process. Meaning: language that is meaningful and authentic to the learner boosts learning. Stephen Krashen later advocated in his language learning theory that there should be a distinction between learning and acquiring. He sees acquisition as the basic process involved in developing language proficiency and distinguishes this process from learning. Acquisition is an unconscious process that involves the naturalistic development of language proficiency while learning is the conscious internalization of the rules of language. It results in explicit knowledge about the forms of language and the ability to verbalize this knowledge. Learning according to Krashen can not lead to acquisition. Learner: putting the learner’s interests, needs in the forefront. CLT is a holistic approach. It doesn’t focus only on the traditional structural syllabus. It takes into consideration communicative dimension of language. CLT provides vitality and motivation within the classroom. CLT is a learner centered approach. It capitalizes on the interests and needs of the learner. In a world where communication of information and information technology have broken new considerable ground, CLT can play an important role in education. Notional syllabus was criticized as merely replacing one kind of list, namely a list of grammatical structures, with another list of notions and functions. The various categories of language functions are overlapping and not systematically graded like the structures of the language. The communicative approach focuses on the use of language in everyday situations, or the functional aspects of language, and less on the formal structures. There must be a certain balance between the two.It gives priority to meanings and rules of use rather than to grammar and rules of structure. Such concentration on language behavior may result in negative consequences in the sense that important structures and rules would be left out. The approach relies extensively on the functional-notational syllabus which places heavy demands on the learners. A major principle underlying this approach is its emphasis on learners’ needs and interests. This implies that every teacher should modify the syllabus to fit the needs of the learners. The requirements are difficult. Not all classrooms can allow for group work activities and for teaching aids and materials. In spite of its critics, CLT has gained widespread acceptance in the world of language study. CLT can succeed, as long as teachers don’t completely reject the need for the structure provided by grammar. Teachers must strive for moderation and shouldn’t neglect the merits of other methods. CLT, in the hands of a balanced teacher, can bring new life and joy to the classroom. Its vitality makes it an important contributor to language learning approaches. 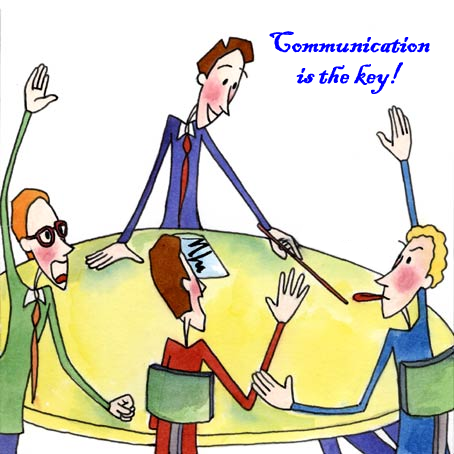 Read more on the Communicative Approach. i found this page very interesting in the way you explained the artical [lease continue helping us through Google. Very useful page. I’ve got almost the most important concepts and principles related to this method. Thank you . Brilliant and a very comprehensible, to the point explanation. Thank you. This is very comprehensive yet brief, precise and clear. Thabk you author! A brilliant summary touching on all the main and relevant aspects in language teaching approaches and syllabus design. Language is simplified and crystal clear in presentation. GOOD AND HIGHLY EDUCATING. MORE OF THIS. Adorable and a very comprehensible, to the point declaration. Hello, thank you so much, your article is very helpful. I need to know more about what help an EFL teacher to be a good speaker.could you do me a favour to explain ? Thank you very very much…lots of comprehensive information on CLT, I enjoyed it. but where are the lesson plans? No comment the explantation of CLT is very fluent I enjoyed this page. Could you send me a lesson plan? Thank you! This article of use an interest to me. You are doing a good job. Keep it up!